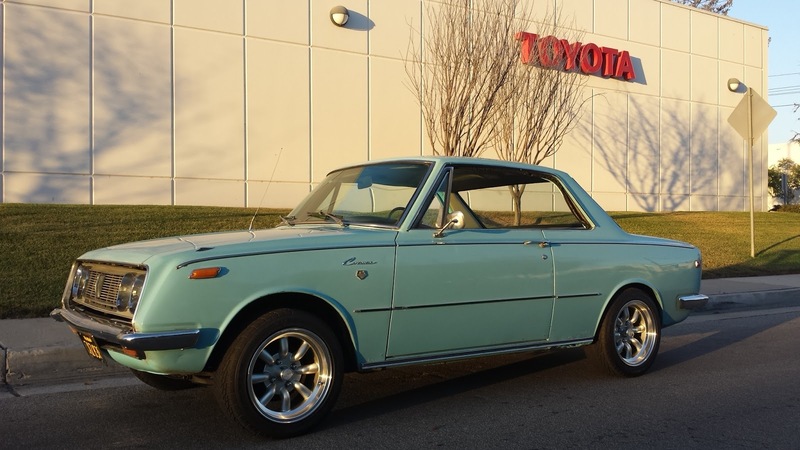 The T40 generation Toyota Corona is by all accounts a good looking Japanese classic, and it should be with design input by the legendary Battista "Pinin" Farina himself. We've featured various Corona sedans and wagons over the years on DT, but never before a Corona 2-door hardtop. Find this 1969 Toyota Corona 2-Door Hardtop offered for $8,000 in San Pedro, CA via craigslist. Tip from John. The fresh listing features some fresh paint, but the seller claims the car is very original and states the not so surprising fact "it's getting hard to find these in this condition!" It's hard to find a Corona 2-door hardtop in any condition...in fact, I'm going to admit that I didn't know that Toyota ever imported the 2-door version into the US market. Interestingly enough, the seller shows a photo next to what appears to be the old Toyota North American headquarters in Torrance (Toyota is currently relocating their California location to Texas) and I don't recall seeing a Corona hardtop in the fantastic Toyota USA Automobile Museum located a few hundred feet from this photo. The seller only includes a single photo in the craiglist posting, but a link to an imgur album includes a number of higher res exterior photos. It would be nice to see some interior and underhood pics, but at least we can tell it came with the 1.9 liter 3R inline-4 from the factory. 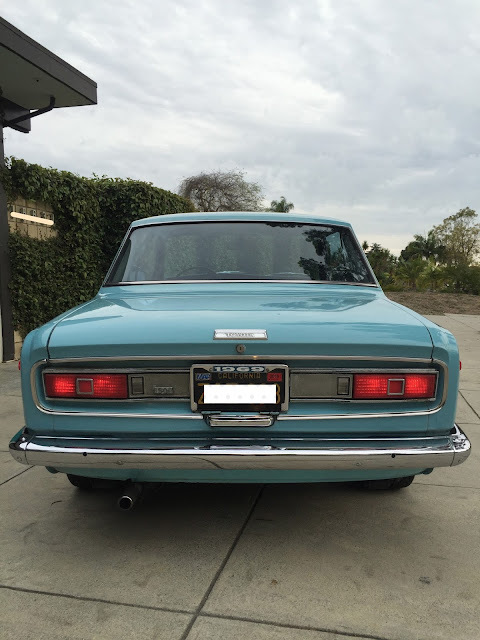 My dad and my brother each bought 1968 Corona coupes at a local BMW/Toyota dealership. I begged my dad to buy a BMW 1600 coupe instead but as it was $300 more he declined. Just as well as my sister and I would have trashed a car that would have been much more expensive to repair. Good car but tons of understeer like most cars of the time. I remember their advertising at the time that the Corona was capable of 0-60 in 16 seconds. I got my first speeding ticket in that car 3 days after I got my license, 78 in a 65. Wasn't my last. This, for me, is one of those cars that I guess needs to be preserved but not by me. At the time, for me, it wasn't even on the radar. The two Coronas of this vintage in our neighborhood were both driven by damsels well into their blue-hair years. A blacktop BEAMS powertrain out of a JDM IS200, done properly, might make it worth $8K or a bit more. But with stock mechanicals? Nah. 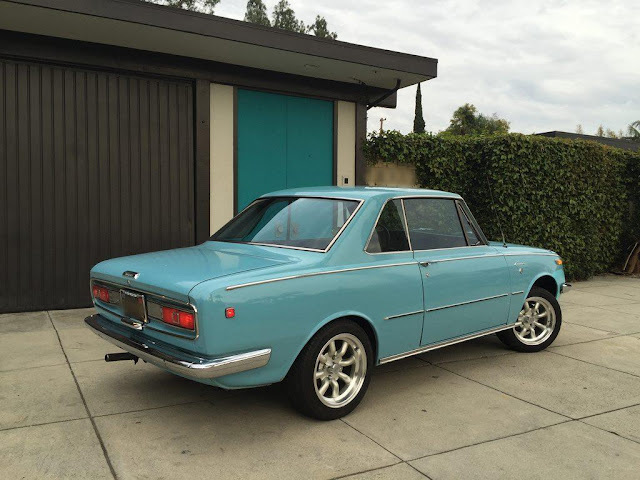 This thing is so far down the list...510, Giulia, Opel 1900/Ascona, Fiat 124, Fiat 131, the rustfree Vega unicorn, 1600/2002, unless there's something really special and really good about it for me it's a $2000 car, not $8000. For that money I'd import a Triumph Dolomite first. I dunno. I like this a lot better than anything they offer today, clean lines, especially the view from the rear. I agree that the price seems high, but given inflation, probably a buy in 1969 $$. Not to mention the rarity. Look's good nice and clean 4 sure...! 0-60 in 16 seconds! That's riding lawnmower power! Car for nerds imho.